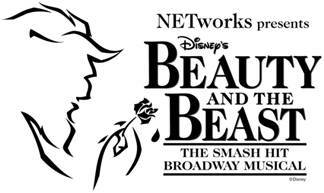 Disney’s Beauty and the Beast, the award-winning worldwide smash hit Broadway musical, is returning to Atlanta as part of the Fifth Third Bank Broadway in Atlanta 2015/2016 season. Produced by NETworks Presentations, this elaborate theatrical production will come to life on stage at the Fox Theatre from February 2-7. Tickets go on sale Sunday, November 8. Tickets start at $33.50 and are available at by visiting www.FoxTheatre.org/Beauty, calling 1-855-285-8499 or visiting the Fox Theatre Box Office (660 Peachtree St NE, Atlanta, GA 30308). Group orders of 10 or more may be placed by calling 404-881-2000. Performance schedule, prices and cast are subject to change without notice. For more information, please visit www.BeautyAndTheBeastOnTour.com or www.BroadwayInAtlanta.com. Disney’s Beauty and the Beast features the Academy Award®-winning score with music by Alan Menken and lyrics by the late Howard Ashman, with additional songs composed by Alan Menken and lyrics by Tim Rice. The book is written by Linda Woolverton. The original creators of the Broadway production have reunited for this new touring production. The play is directed by Rob Roth and choreographed by Matt West, with Costume Design by Ann Hould-Ward (Tony Award® winner for her work on Disney’s Beauty and the Beast), Lighting Design by Natasha Katz (five-time Tony Award® winner), Scenic Design by Stanley A. Meyer, Sound Design by John Petrafesa Jr. and Music Supervision by Michael Kosarin.